From the outset, Daniel Mourad knew that the real estate industry would bring him a lifelong career. 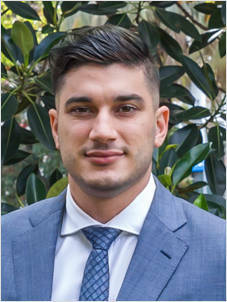 Daniel’s intimate and detailed knowledge of the market coupled with his extensive experience is perfectly suited to his role as Sales Consultant for Laing + Simmons Parramatta. Having grown up in Oatlands, Daniel has lived and breathed the local Parramatta area and has a vested interest in giving back to the local community. Daniel believes that communication, trust, the ability to network and outstanding negotiation skills play an important role in building strong relationships with current and potential clients and always providing a premium service. Throughout the years Daniel has maintained a strong attention to detail and uses it well when preparing each property for sale, providing a sense of value for every client. Daniel’s ultimate goal is to help each client achieve the best possible result with a smile.